Over 4,400 Sq-Ft of Dedicated Shop Space! Amazing Selection of Premium Hardwoods & Exotics! Build Your Own Distinct Table! Walnut, Cherry, Curly Maple, Oak, Parota - and More! What Exactly Does The Workshop Offer? Lumber Sales - Looking for a special slab? A peice of exotic wood? Or just a plain board of Oak for your next project? We can help. Membership - Ever wanted an amazing shop with all of the tools you need, and an amazing selection of lumber just feet away? You can have that at The Workshop. Classes - We offer a variety of classes for novice and skilled woodworkers alike. 1-on-1 Instruction - Maybe you aren't ready for membership, or your schedule doesn't line up with our class offerings. Perhaps you want to build an amazing project for your family and just aren't sure how to do it - well, we can help! Send us a message and let us know what you'd like to build or learn. 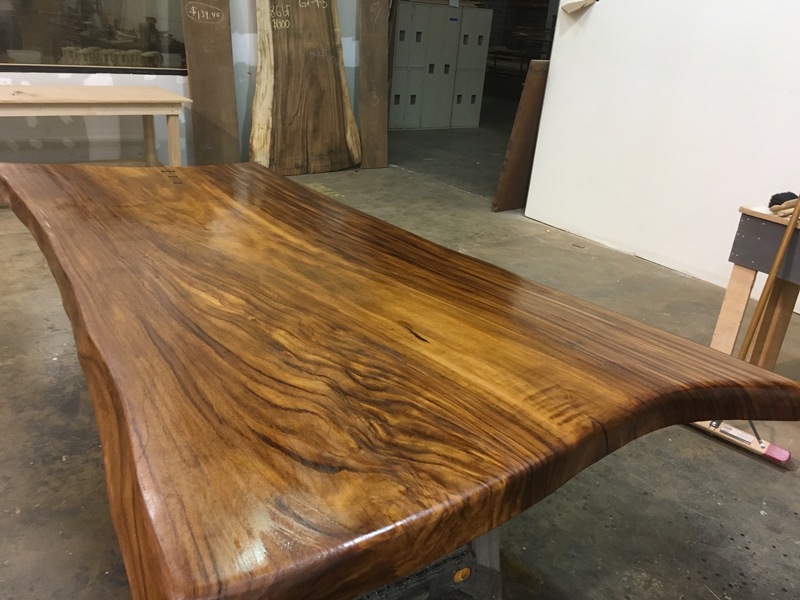 Custom Commissions - Need a special table built? New slab counter-tops? Or maybe a bookshelf? Just let us know! We can help you design and will build your project for you using our artisans right here in Fredericksburg! Making is not a thing of the past. Indeed, we as human beings have an inherent need to craft things with our hands. For some people, that means that we have a need to create things out of wood. We feel that there are plenty of others out there just like us. People who want to learn to become fine woodworkers, people who are looking for the space and tools they need to get started, and those who are not even sure where to start, but just know that they have a need that they must fulfill. 2016 The Fredericksburg Workshop, LLC | Hours of Operation: Mon 9am-6pm; Tues-Sat 9am-9pm; Sun 12-4pm.